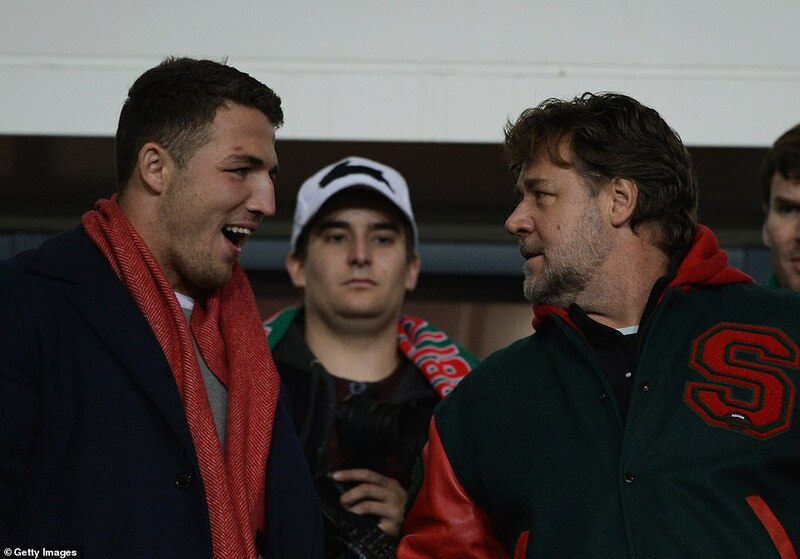 NRL star Sam Burgess is reportedly being consoled over his marriage breakup by his teams’ co-owner and Hollywood actor Russell Crowe. 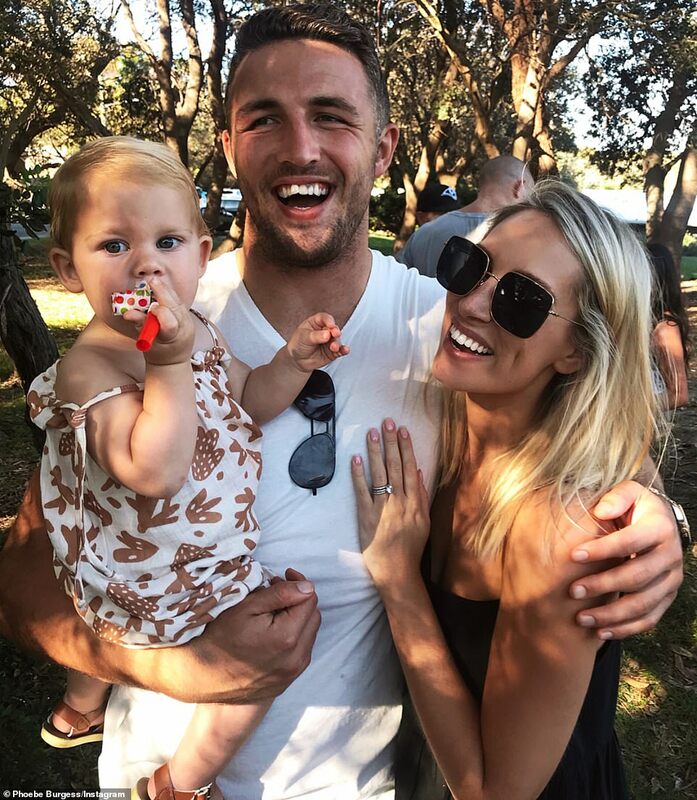 The South Sydney player split with his wife Phoebe just weeks after the birth of their second child William ‘Billy’ Mark Burgess on December 9. 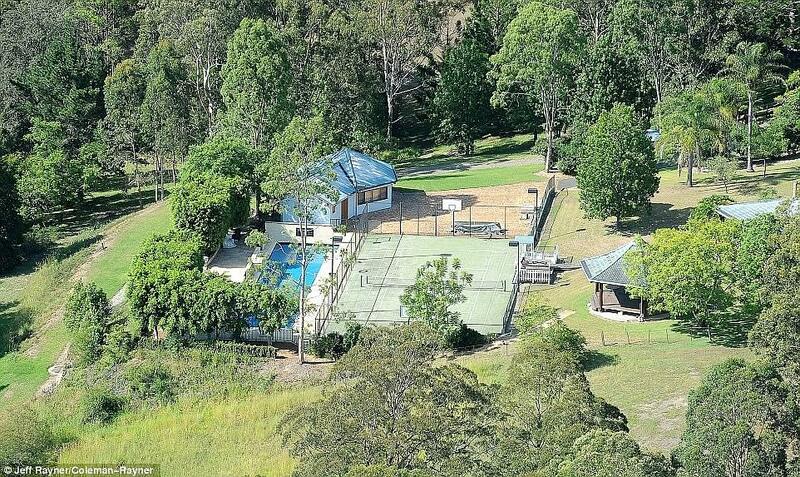 Burgess is now at Crowe’s sprawling estate in Nana Glen, near Coffs Harbour on the NSW north coast, according to the Daily Telegraph. 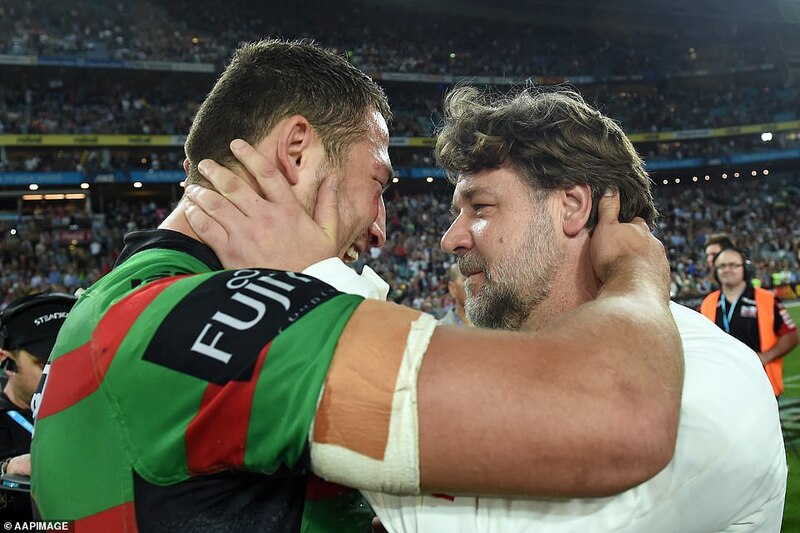 The pair have formed a close friendship through Crowe’s part ownership of the team, which he and friends bought in 2006, with Burgess joining the club four years later. Other Burgess brothers George, Thomas, and Luke have also played for the NRL side. ‘Russell has always looked after the Burgess boys. They’re like sons to him. He isn’t interested in taking sides but will do whatever he can to help Sam through what is clearly a difficult time,’ a source told the Telegraph. 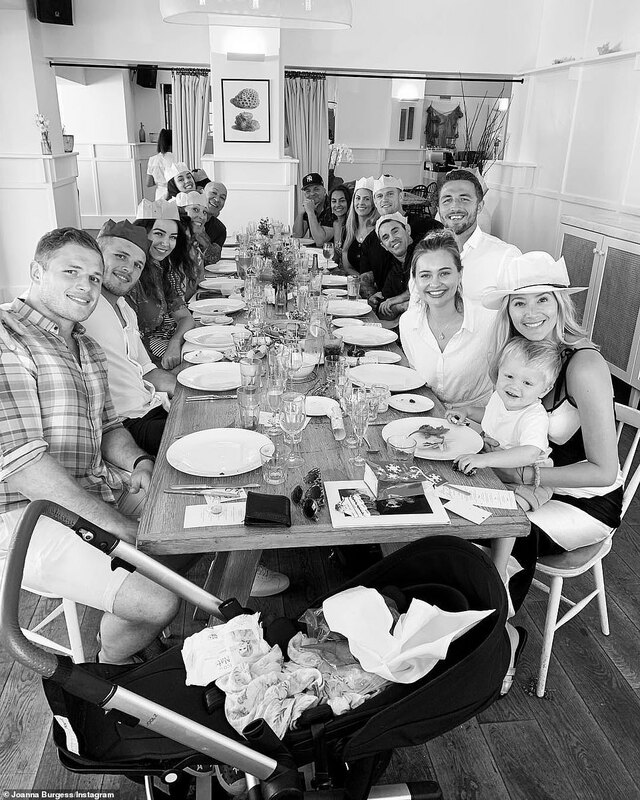 Burgess was understood to be without his wife and newborn baby on Christmas Day, as Phoebe was not seen in the Burgess family dinner photo. 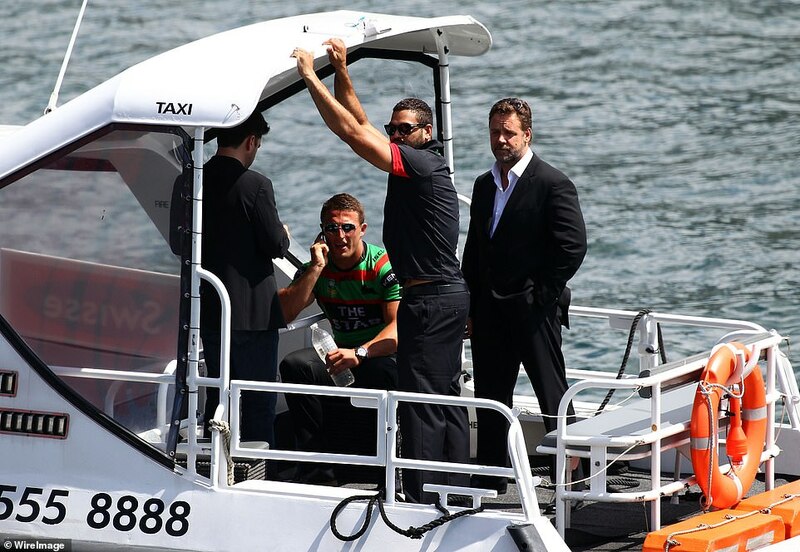 The 30-year-old then spent Boxing Day on an exclusive Sydney Harbour party boat with a group of revellers. Some time after that but before New Year’s Eve he reportedly fled to Crowe’s estate, before coming back to Sydney this week to pack his things on Wednesday. He reportedly returned to Crowe’s property this weekend and it was unclear how long he would stay under the roof of his famously generous team owner. Crowe’s ranch provides ample privacy as the estate, spanning hundreds of hectares, is so big it can sleep 150 people across numerous cabins and houses. Burgess could keep up with his game on a full size rugby field on the ranch, along with a cricket pitch, dressage circle, full size lap pool, tennis and basketball court, as well as a private chalet. The estate also has a full-sized nightclub complete with stripper poles and dancefloor that hosts parties that ‘can go one for days’. A witness said Burgess was relaxed and showed no signs of having recently split from the mother of his two children. ‘He looked happy, seemed to be having a good time. I noticed he wasn’t with his wife, but didn’t think much of it,’ the observer said. The partygoer said he did not know if a young blonde woman Burgess was pictured speaking to was among his group of friends. Phoebe took to Instagram to announce the birth of their second child the hashtag ‘FamilyofFour’. ‘Welcome to our world little big man, our hearts are so full,’ she wrote. The Burgesses have a daughter, Poppy Alice, who is almost two. Burgess was seen on Wednesday collecting three bags from the family home in Maroubra in Sydney’s eastern suburbs. Phoebe has been holed-up in the $3.8million four-bedroom home with her mother Sarah Hooke, pregnant sister Jemima Fairbanks and her husband Gene. Supporters of the former journalist have been rallying behind her on Instagram after news of her marriage their split made headlines. Another said: ‘Look after yourself, mama’. On Thursday, Sam disabled comments on some of his Instagram photos where he was pictured with Phoebe due to trolling. 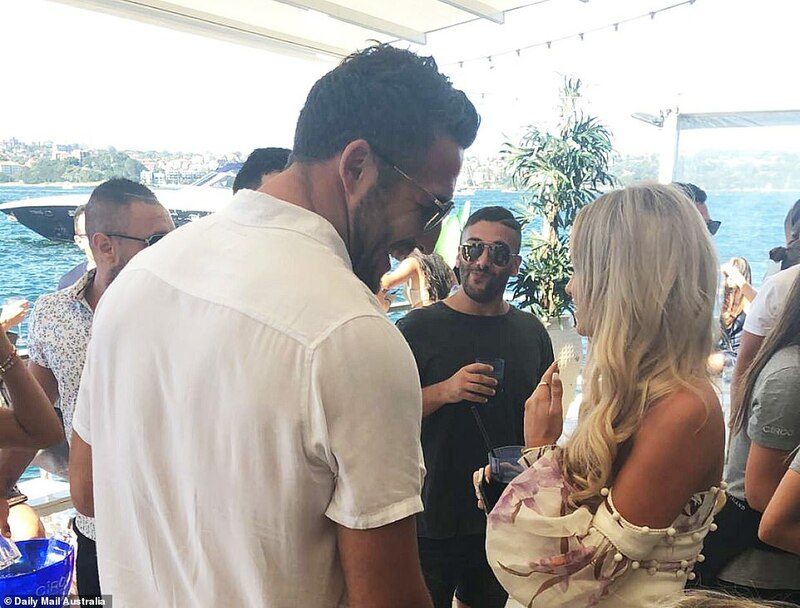 The couple’s split came after Sam was cleared of any wrongdoing in September after a 23-year-old woman claimed two unnamed Souths Sydney players had sent her lewd images of themselves via Facebook in May.